For the first time, the Rwf25 million has been raised at the RWANDA’S KWITA IZINA fundraising gala dinner making a profound landmark in the own efforts of Conservation in destination Rwanda worldly known for its Rwanda Gorilla Trekking safaris and tours. The Kwita Izina Dinner event notably pulled a count of four hundred (400) attendees that included; Members of Diplomatic Corps, Government Officials, World’s re-known Conservationists and the Private sector players. Some of these people took a safari to Rwanda to be part of the development. It was a real fun filled night of remarkable dine and wine, jazz performance from Uganda’s famous Isaiah Katumwa, Mashirika arts with their Cameo performances and the Nigerian famous Singer Wizkid. Interestingly, the Singer Wizkid did not only stop on singing but managed to join the auctioning encounter and successfully bid for the two paintings that looked so beautiful at US$2000. The Rwanda Development Board’s Kariza confirmed the reception of Rwf10 million from Auctioning and then an estimate of US$10,000 from the ticket sales. The Rwanda’s kwita izina Ceremony marks the celebration of Rwanda’s conservation efforts every year. Amazingly, the 2016 turn seems unique as evidenced by the theme “Conservation is life”. 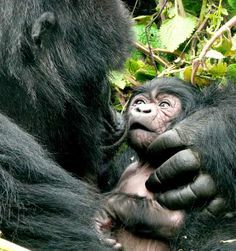 Rwanda intends to demonstrate to both local people and international community including Rwanda gorilla safari undertakers that the efforts towards conservation are increasingly growing stronger which is proven by the counts of baby gorillas named per year. Gorilla safaris in Rwanda still hold the mantle as regards the foreign exchange earner in the country. In the year 2015, the tourism sector generated US$318 million revenue rising by 4% from the 2014 figure. The Kwita Izina product has been growing with time and this year has attracted a range of exhibitors from twelve (12) countries to show case their products including safaris and tours. All these are ongoing events to the eventual Kwita Izina Ceremony scheduled to occur at Kinigi Volcanoes National Park on Sept 2nd 2016.